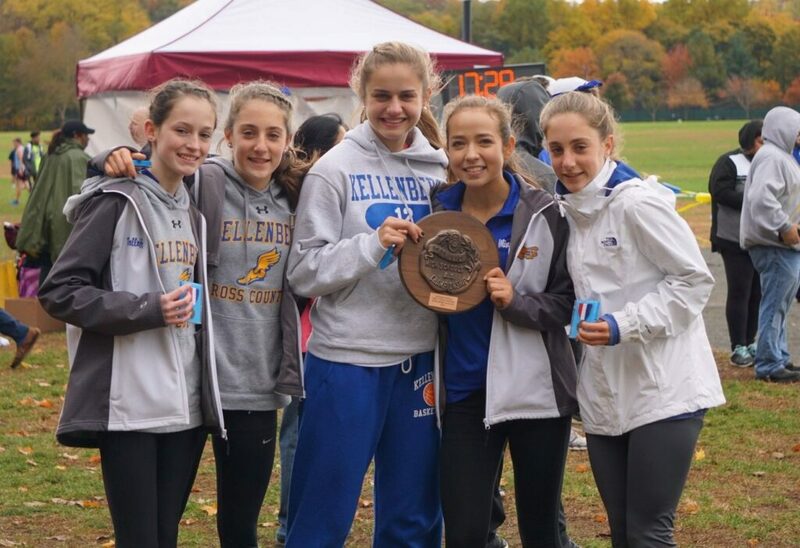 The Kellenberg Girls Cross Country team has always been known for being a uniquely tight unit. However, the sophomore runners this season have an exceptional and rare close-knit bond. With only five sophomore girls making up the team, they have had to step it up to a new level and strive for rigorous goals, in the meantime growing closer as friends and teammates throughout the season. Known as the “Fab Five,” sophomores Ashley Minns, Victoria Diéguez, Victoria McLoughlin, Margaret McLoughlin and Margaret Dollof are the members of this one-of-a-kind team. The other four girls agreed that their strong friendship makes the team special, Dollof highlighting how supportive they are by cheering each other on. They surely encourage each other when it comes to reaching their personal goals, about which each girl is very optimistic. Minns is looking forward to the girls’ two remaining meets: the CHSAA State Championships and the New York State Federation Championship. As the season finishes up, she hopes to run under 16 minutes in the Intersectional Championships on November 10. Likewise, Dollof also hopes to cut down on her time. Her favorite memory of this cross country season was the pasta parties. The girls inspire each other greatly and have also learned many valuable lessons from their other teammates and coaches so far this year. The Fab Five is obviously an exceptional and unique team with interesting and uplifting dynamics that would inspire anyone. Before starting on the team, none of the girls (besides the McLoughlin twins), knew each other. They are now close friends, spending hours together every day. These Lady Firebirds are lucky to have each other and such a marvelous experience as high school athletes. Blessed with such wonderful and loyal friends, it’s no wonder these girls are fabulous! This article will appear in an upcoming edition of The Phoenix, Kellenberg Memorial’s student-newspaper.